Sue's Obsession: My daughters 18th album..... 6+ months in the making! My daughters 18th album..... 6+ months in the making! 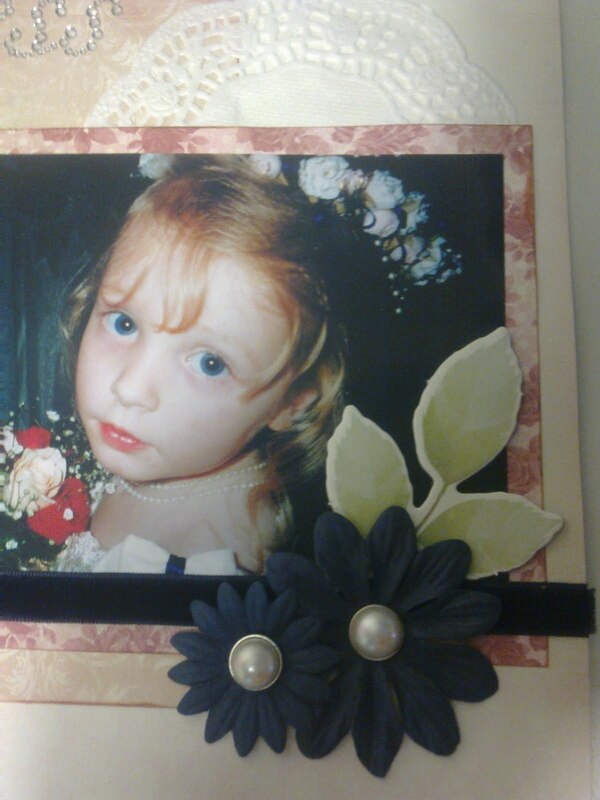 These are some shots of the first page of my daughter Jess's 18th birthday album. 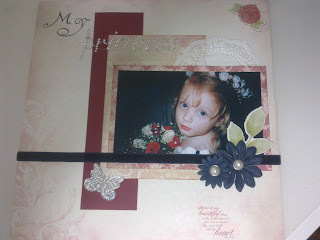 I am a big Kaisercraft fan so no surprise I used their English Rose collection for this photo.... I decided to make the 1st page first...... and was very happy with how it turned out. I started scanning all her photos in around October 2010....we then moved house early December - so not much scraping that month. I started a few pages in January then had quite a few weeks off due to a shoulder operation. Finally at 1pm the day before her birthday in May I finished. I thought I would be sad to had it over but no saddness..... much relief and also pleasure when she was so proud of it she made her friend come over to see it! I also had completed an album the week before for her Step sister..................more on Caity's album later. I began scrapbooking in 2006 and in the past few years have become obsessed. I love card making also and have created a few OTP projects - which I really enjoy. I have a great partner of 10 years and am a mother to 5 children ranging in age from 5 - 20! My fab OTP desk organsier!